No.1 Dress (American Universal Tartan), No.2 Dress (Brown, Black Watch, McKenzie, Royal Stewart, American Universal and Irish Diaspora). 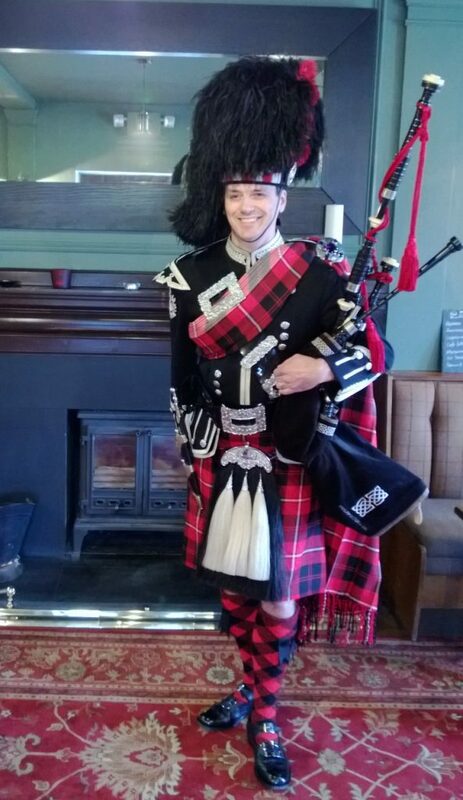 Ed is a bagpiper based in Sheffield, Yorkshire with over 25 years of piping experience and is currently a member of Manchester Phoenix Pipe Band who in 2016 won the All England Champions title at Chatsworth Country Fair. Ed has performed at countless weddings, birthday parties, funerals, school workshops, and corporate events. He has appeared on TV when performing for the IIFA (Bollywood) Awards at Sheffield Arena in front of celebrities from the film industry as well as 12,000 guests. Ed also appeared in a promotional video for the Edinburgh Magic Weekend and has appeared on ITV's 'The Dales' and 'The Lakes' playing at weddings featured on the programs. 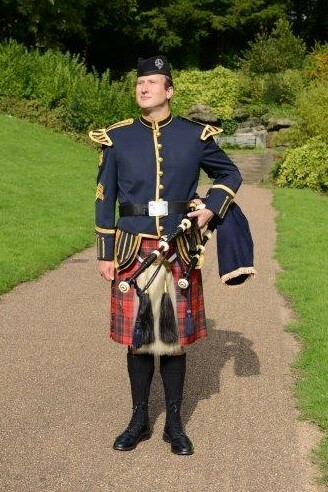 Ed can perform in either full No.1 Military Dress or traditional Scottish day dress. Ed also plays a beautiful set of Fred Morrison bellow blown reelpipes which are a quieter alternative to the highland pipes. These come in useful for indoor events such as the signing of the register at weddings when the ceremony room is small. Ed has a large repertoire which consists of traditional and contemporary Scottish and Irish music and is happy to learn any tune he doesn't already know if required. 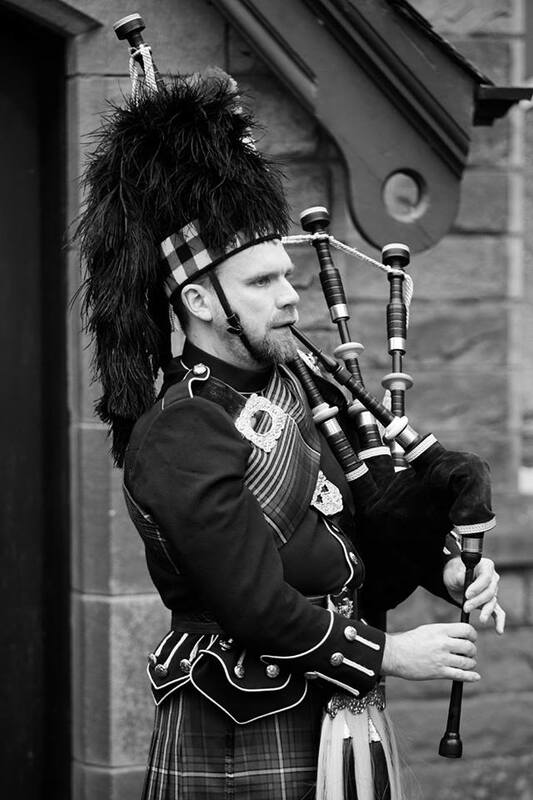 “Hello , apologies because I meant to get in touch sooner but I have been really busy, I just wanted to drop you a line to thank you for the beautiful and wonderfully played bagpipe music that you played at my mum-in-laws funeral for her and us all on the 12th April . Our wedding was rather unusual with my daughter having a blessing in a cave before walking across the Yorkshire dales to the church in Clapham. We asked a lot from Ed. He serenaded the guests on the hillside and then marched the Bride and Groom into the cave and then a mile back to the church. He never took a break and played with great skill and created an atmosphere that was electric. Musically great and with such a lovely accommodating attitude Ed was an integral part of the wedding. Everyone who attended after saying how beautiful the bride was mentions the Piper. Ed made many friends that day and a lot of people are thinking of arranging ‘do’s’ just to get Ed to play. One of our younger guests Arianna says Ed was wwwwwwwwwwwwicked. 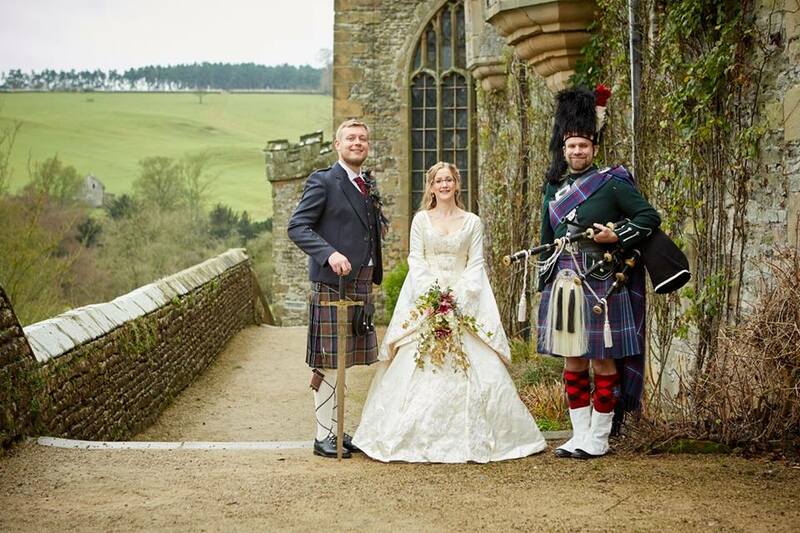 Look out for Yorkshire TV’S The dales programme where the Wedding is to be featured. I would like to echo my father’s sentiments (I was Jude Onions just over 3 weeks ago). Ed you were absolutely fantastic, it was such a hot day and you just played and played along the mile long walk without a rest! I would wholeheartedly recommend Ed as a friendly, professional, musically accomplished, accommodating Piper and a thoroughly nice person with it. All the best to you in the future. Keep an eye out for ITV’s ‘The Dales’ series 2 to be shown in 2012 which will feature our day of fun in Clapham! I am sorry I missed you after you finished at Kate and Stephen’s wedding on the 29th, but please accept my thanks for an excellent job. There were a lot of compliments about the piping afterwards, and there were a number of people there who instantly recognised good piping when they heard it! 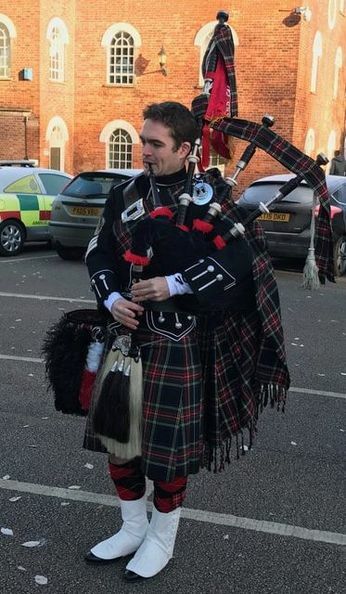 I would be more than happy to recommend you for any future events in the Yorkshire area where a quality piper is required. We would like to say a big thankyou for your performance on sat it truly made it an unforgettable day all our guests commented on how special it was,Thank you so much we would gladly recommend you to anyone it was fantastic. I rang Ed 2 weeks before my wedding date to ask if he could possibly play as a present for my dad who loves the bag pipes, after reading all Ed’ s feedback from his website I wasn’t at all surprised he was booked on that day. After explaining that I didn’t want Ed to play all day I would just like him to play for a while in the evening Ed arranged that he would book me in after the wedding he was already booked for but he would have some travelling to do to get to us so we arranged a time for him to start. Ed knowing that this was a surprise for my dad turned up at my venue and rang me to let me know he had arrived so my dad didn’t see him, while Ed got his self ready I announced to my guests that we had a bag piper to play for my dad well my dads face dropped. Ed came in playing and stood in front of my dad and played for him. It was the most incredible thing I have ever seen. My dad was in amazement to be honest as I looked round the room so to were the rest of my guests. My dad was so thrilled by Ed playing the bag pipes he had a tear in his eye thus setting everyone else off. Ed was fantastic with all my guests answering Any questions anyone had and playing all the requests my guests asked for. I can honestly say everyone of my guests genuinely enjoyed Eds performance as they all got up for a dance. I did try having a cheeky turn on the pipes thinking to myself ‘how hard can this be’, well talk about showing myself up I couldn’t even get a tiny sound out of it ha ha, but this did just add to the fun of the day. I would have no worries in recommending Ed to anyone. Thank you very much Ed for playing at my wedding you are a really nice guy with an enormous talent once again Thank you you made our day.